For North Americans, fall is a very special time of year: the days grow short and everything turns golden-orange, even the sky. The summer heat is just beginning to subside and there's a faint chill in the air. During fall, there's nothing better than cozying up with a comfortable blanket and a steaming cup of coffee to watch the leaves change color... but who says you can't camp while you do it? 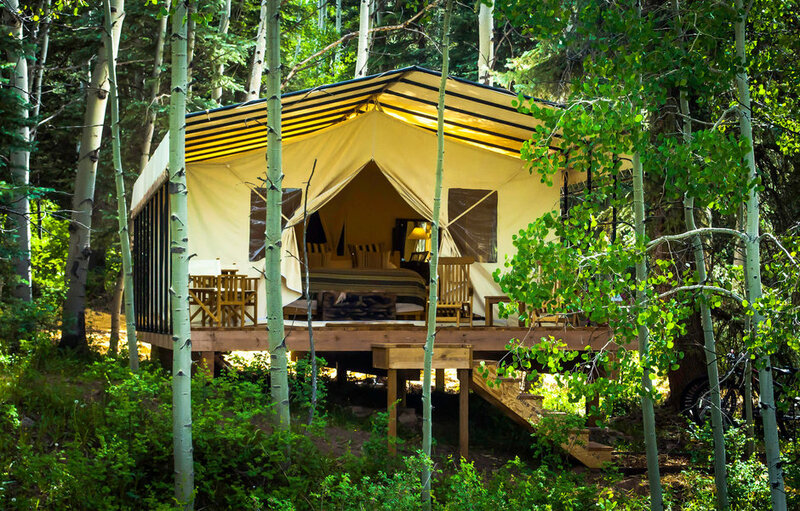 So, here are some of North America's best glamping locations to sit with a loved one and usher in the new fall season.